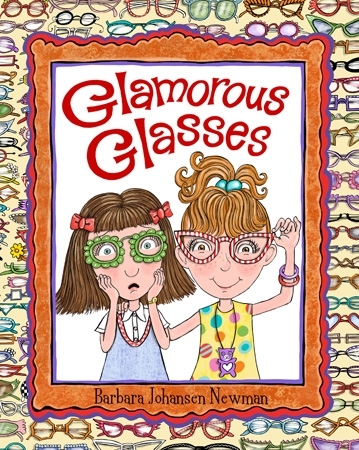 Barbara Johansen Newman: Glamorous Glasses! Today, guest interviewer, Mary Zisk, talks with illustrator and writer, Barbara Johansen Newman. I met Mary, a talented author and artist at the SCBWI NJ Conference. She is a follower of this blog. Mary is a mild-mannered magazine art director by day, and a children’s book writer and illustrator by night. She’s proud to be a Jersey Girl. Former Jersey Girl, Barbara Johansen Newman now lives outside of Boston with her husband , three sons, and studio companion, Bitty, the French bulldog. She has always loved to draw. Her first artwork was done when she was a baby, standing in her crib, writing on her bedroom wall. Sooner or later Barbara stopped drawing on walls and began to draw on paper like most people. After going to college, spending some time making dolls, puppets, and performing as a puppeteer, Barbara began to illustrate and create art for many newspapers, magazines and books. 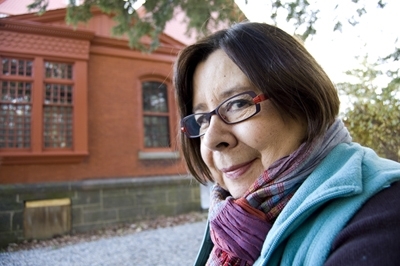 Now she spends most of her time writing and illustrating books for children and also designing fabrics for sewing. Thanks, Barbara, for talking with us today. We know that being a Nerdy Chick rules. But, looking back, if you could give your middle school or high school self one piece of advice, what would it be? I could pretend my seventh grade self would listen if I told her not to worry about what her peers were thinking, but I am sure she would roll her eyes and let me go in one ear and out the other. I certainly could not tell her that none of the people around her would matter much in ten years because I ended up marrying one of those seventh graders in my own section and here we still are almost fifty years later. What I would tell her is that she should try to remember as much of the “feel” and mind set as she could of that very year, because it was the tail end of the last period of relative innocence and simple pleasures, and things would change very drastically before the decade was up. You’ve illustrated many picture books and chapter books written by other authors. 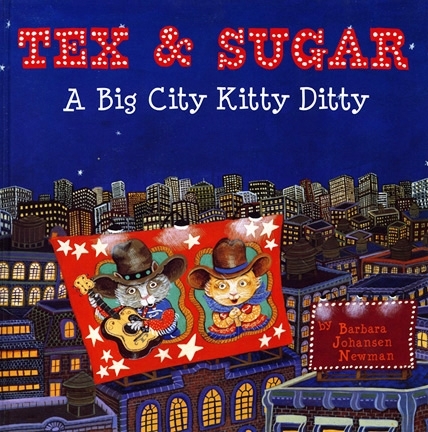 What led you to write and illustrate your own picture book, Tex & Sugar: A Big City Kitty Ditty? Plus it’s all written in verse, which was very brave of you to attempt. Tex and Sugar began as a poem called “Tex Mex Rex,” part of a collection of poems I had written in 1983 called “Seven Working Kitty City Ditties.” In 1984 I took a trip to NYC to show my portfolio and one of the art editors at Knopf pointed to that poem and said, “Turn this into its own book.” Seventeen years later I pulled that poem out and started working on it. I sold it in 2005 and it came out in 2007. So that story cooked on the stove for twenty-four years. It is harder for me to NOT write in verse, to be honest. I love rhyme. I also love music. Rhyming verse is like music to me. Well, it was worth the wait. I love Tex & Sugar, especially for the insane amount of detail in your illustrations. Where do you think your obsession with detail comes from? I have a very vivid memory, so it is hard for me to draw something or report something and leave out the details because then I feel like then I am not telling the whole story. I love those small details. Your brand new book, Glamorous Glasses, deals with another obsession: GLASSES. Glasses have been considered nerdy in the past, but are now enjoyed as trendy jewelry for the face. The book was inspired by your childhood. What happened? I went with my cousin to the optician’s office in Elizabeth, New Jersey to pick out glasses. As I watched my cousin Joanie try on pair after pair, I became totally enamored with the way they looked on her face and even more so with the materials they were made of. I wanted glasses too, but I didn’t need them. The obsession never went away, and finally, as an adult, I do need them. I have painted eyewear on my characters since I began illustrating in 1982, so the number of pairs of glasses I have painted is in the thousands. I think Tex and Sugar, and Bobby and Joanie have unique talents and style. What lessons (or inspiration) do they give kids (or even us grownup nerdy chicks)? Tex and Sugar each follow a passion. We all need to cultivate a passion and make it part of day-to-day life. Having a dream or a goal enriches life. It gives you something to strive for. I also think it is good that kids see that success is not easy; you need to work for it and move toward it. Bobbie and Joanie almost send the opposite message in that they both learn that getting what you want isn’t necessarily a good thing. Maybe their message is more about understanding what it is that one really wants and determining if it’s worth pursuing or if it is just a superficial quest. They each come to realize that clearly seeing where they are going and what they are doing is the most important thing. You’ve certainly followed your passions over the years. What has been the best thing about your career? My career has taken so many twists and turns with regard to materials and approaches and venues. Now I know every time I dip my toe into something new, it really turns out to have everything to do with where I am and have always been. So, through painting, drawing, puppetry, dolls, sewing, illustrating, writing, textile design, and back to painting again, it is all part of the whole me and who I am. Besides your personal artistry, do you have a favorite way to flaunt your brain power? I am a nut for word games. My husband will not play Scrabble with me, because I always beat him, so when Words With Friends came about and I got an iPhone, I became the proverbial kid let loose in a candy store. I love Scrabble, but it’s also a tactile experience for me. I love those wooden letters, so I don’t think I would take to Word with Friends. Besides playing with words, is there something else you like to do that might be considered a little bit nerdy, but is actually really fun? I have loved antiques since I was a kid. I began to buy things in my teens and by the time I was twenty and I moved off to Buffalo I was starting to hit my stride. Because of this love I have actually gotten to know quite a bit of historical information about Americana and old houses. I could easily go into another career as an antiques dealer. Has your interest in antiques and history caused you to admire any particular well-known nerdy chick? Yes, I really like Doris Kerns Goodwin. She makes me love history and she was one of my favorite guests on Don Imus’ show when I could still listen every day in the car. I also love that she is a big baseball fan. She is super smart and wonderfully interesting but there is no arrogance that emanates from her. What might surprise us about you? Any social norms you are fond of flouting? I love anything to do with the paranormal and I will, given the chance, watch every single ghost hunting show on TV, much to the disdain of my husband who never passes up an opportunity to make fun of the shows (and me). I also tend to believe in reincarnation. I drive him crazy with this stuff. I am a reluctant psychic. I have had experiences all my life but I have no idea why or how. I would love to be better at it, but who has the time? Thanks, Barb, for spending time with the Nerdy Chicks. What’s coming up for you in the future? Bobbie and Joanie from Glamorous Glasses will be in another book together, due out in 2014. I know those characters so well and I want to see them have a lot of adventures and life experiences together. I’ve illustrated two series by other authors and I am thrilled to be developing one of my own. My latest artistic pursuit in addition to the children’s books is a return to painting. In 2009, I purchased a studio in an old mill building in town and I now have a real space to paint large works on canvas and other materials. This past year I began to collaborate with another artist who builds frames out of antique dough boards and other antique objects, which I then paint on. My painting work is art for arts’s sake. I love illustrating text, but sometimes it is nice to work on pieces that contain their own narrative within, not bound by any written word. To find out more about interviewer Mary Zisk, visit her website at http://www.maryzisk.com! 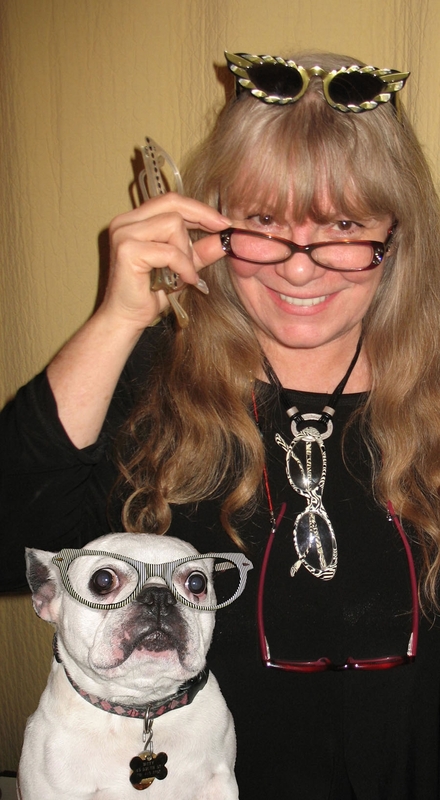 This entry was posted in Nerdy Chick Interviews and tagged Barbara Johansen Newman, Glamorous Glasses, Mary Zisk, Picture Book author/illustrator, Tex & Sugar. Thanks for the opportunity for introspection! One correction to my own history–my mother informed me yesterday that once I was able to walk and climb out of the crib, I continued to draw all over ALL the walls in my bedroom. Gotta love her–she let me! Thanks to you for being such an inspirational interviewee! My favorite part is where you told about the seventeen year gap between your PB idea and your book!